No variant has been selected. These cases are ideal accessories for all our models. They are handcrafted in France from selected leather. 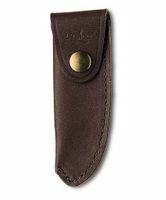 Forge de Laguiole Belt Case Buron black has not been evaluated yet.